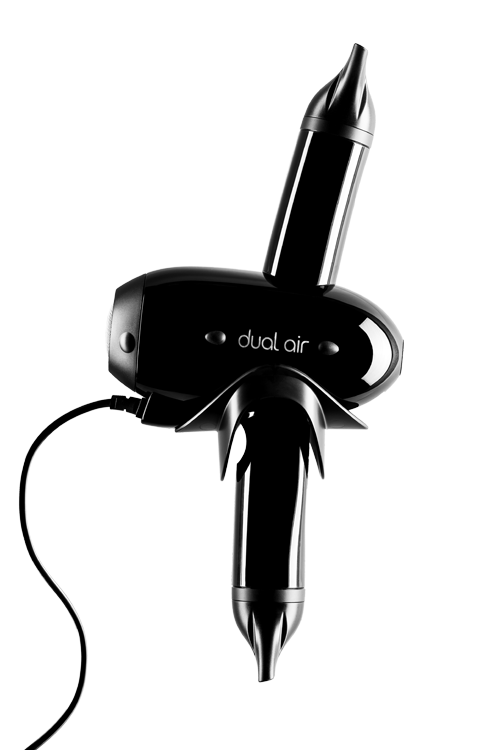 Dual Air supports your workflow and makes blow drying an enjoyable part of hairdresser’s daily business. 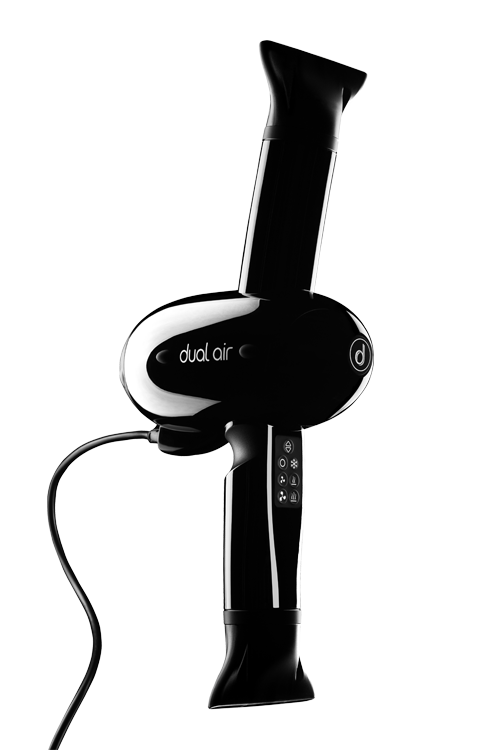 Dual Air’s ergonomic design supports you in a continuous workflow to achieve a brilliant hairstyle. The groundbreaking and patented innovation with two directional airflows enhances your blow drying techniques. The Dual Air handle is designed to guarantee an effortless grip in all positions. The professional hair dryer lies balanced in your open hand and follows your arm movements. Dual Air feels lightweight and comfortable. The Dual Air Touch panel is intuitive and easy to use. Control every action of your Dual Air with a gentle touch. Your Dual Air hair dryer nozzle allows you to dry hair from the very root to create volume and brilliance. You can easily adjust the nozzle to ensure the airflow always follows your hairbrush during blow-drying. The long life 1700 W AC motor with optimized ionized drying technology ensures an even heating, lower power consumption and a brilliant result. Smoothly remove the filter and clean it to ensure that your Dual Air professional hair dryer always performs at its best. Your Dual Air hair dryer allows for free movement around your clients with a three meter cable. The Dual Air professional hair dryer is optimized with pleasant sound volume and frequency. Your Dual Air professional hair dryer is operated by intelligent software. You can navigate through the different programs on your intuitive touch pad. 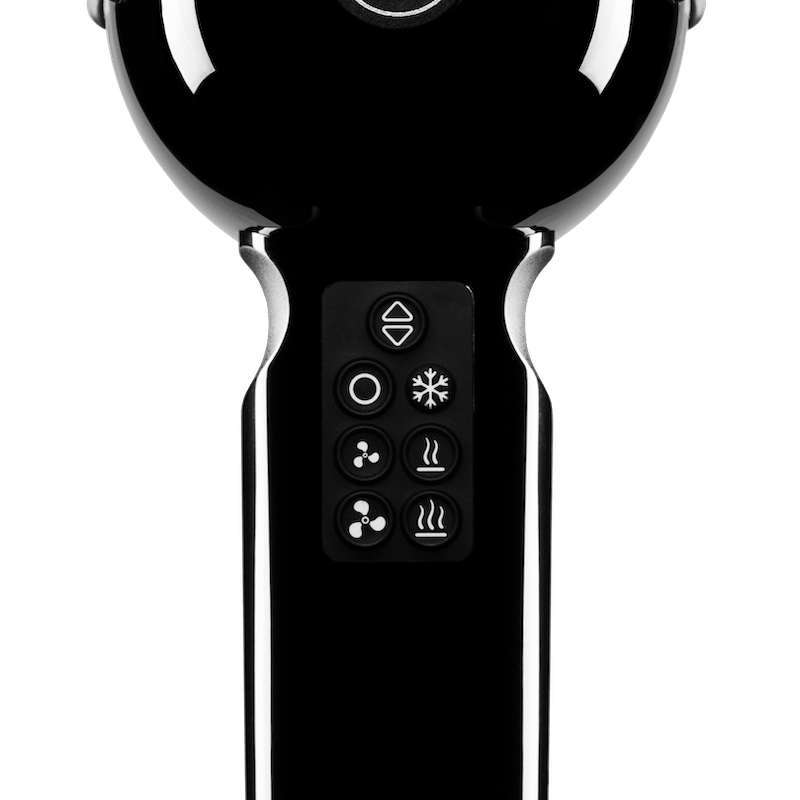 World class engineers have designed and optimized your Dual Air professional hair dryer to make it the best tool for hair drying in your salon. Dual Air is a patented high technology innovation that is produced in Norway. 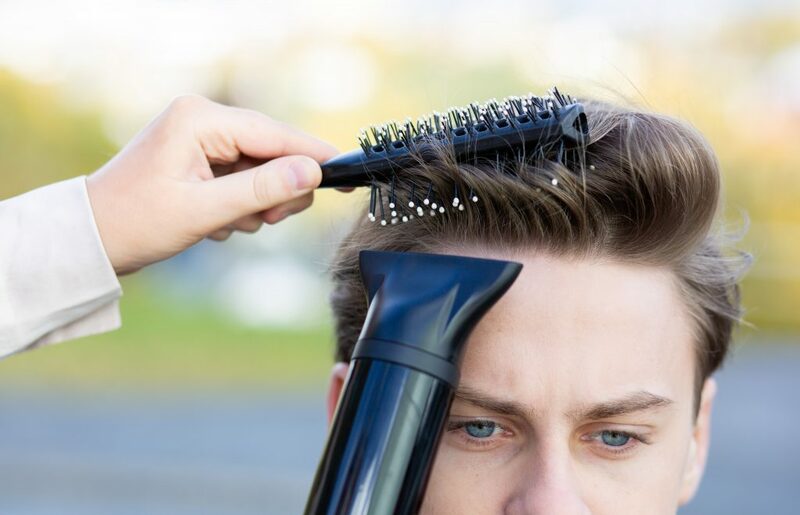 Actual research show the impact of exposure to hairdressers in their daily business. 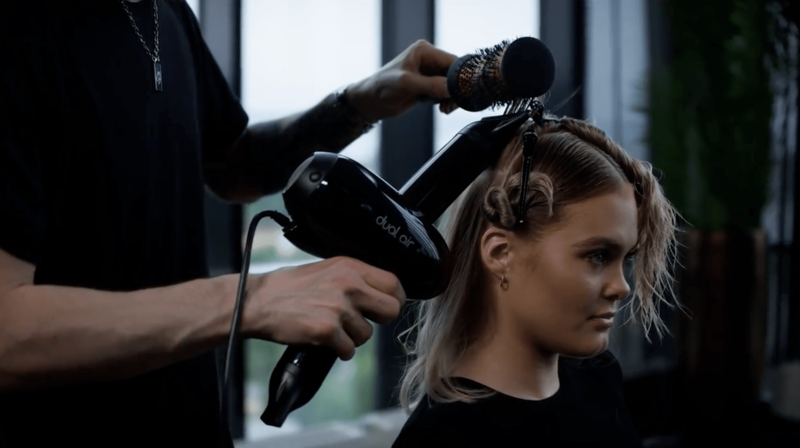 Our goal at Dual Air is to improve hairdressers lives by providing the best tool for them to blow dry hair in a continuous workflow with minimal strain to their body. Dual Air innovated a completely new and ergonomic design with a two directional airflow. This enables you to work in a comfortable position with low shoulders at all times, because working with the elbow raised below the shoulder height reduces the risk of inflamed tendons by 20% (read more: Work related shoulder disorder). 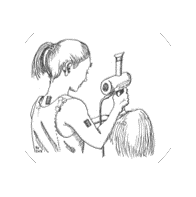 The Norwegian Department of Occupational Health Surveillance (read more: STAMI) published a report on whether Dual Air reduces shoulder strain compared with traditional hair dryers. This study shows that using Dual Air professional hair dryer more than halves the time spent with the arm in high-strain positions.